目的 研究核转录因子NF?E2 相关因子2(NF?E2 related factor 2, Nrf?2)信号通路在PM2.5 雌性生殖损伤中的作用?方法 30 只雌性SD 大鼠随机分为生理盐水对照组?1. 5 mg/ kg PM2. 5 低剂量组和37. 5 mg/ kg PM2.5高剂量组,连续暴露染毒10 d?ELISA 试剂盒检测子宫中肿瘤坏死因子?α (tumor necrosis factor?α, TNF?α)?白介素?1β(interleukin 1 beta, IL?1β)和白介素?6(interleukin?6, IL?6)含量?荧光定量PCR (qPCR)检测子宫组织Nrf?2和血红素加氧酶?1(heme oxygenase?1, HO?1)mRNA 表达水平?Western blot 检测子宫组织Nrf?2 和HO?1 蛋白表达水平?结果 低剂量组和高剂量组子宫TNF?α?IL?1β 和IL?6 含量均明显高于对照组( P < 0. 05);与低剂量组相比,高剂量组子宫TNF?α?IL?1β 和IL?6 含量明显升高,差异有显著性( P < 0. 05);且子宫组织炎性因子含量与PM2. 5 暴露量正相关,随着PM2. 5 暴露浓度的升高,TNF?a?IL?1β 和IL?6 含量不断升高(r = 0. 870?0. 847 和0. 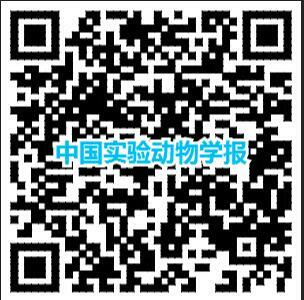 855)?荧光定量PCR 和western blot 检测结果显示,低剂量组和高剂量组子宫组织中Nrf?2 和HO?1 的mRAN 表达水平和蛋白表达水平均明显高于对照组,差异有显著性( P < 0. 05)?结论 雌鼠暴露PM2. 5 后,Nrf?2 信号通路被激活,但PM2. 5 依然能诱发子宫炎症反应,造成子宫组织损伤? Objective To study the effect of NF?E2 related factor 2 (Nrf?2) pathway activation on particulate matter 2. 5 (PM2.5 )?induced reproduction injury in female rats. Methods Thirty Sprague Dawley rats were randomly divided into control (normal saline), low dose exposure (1. 5 mg/ kg PM2.5 ), and high dose exposure (37. 5 mg/ kg PM2.5) groups. The levels of tumor necrosis factor?α (TNF?α), interleukin 1?β (IL?1β), and interleukin?6 (IL?6) were measured by enzyme?linked immunosorbent assay. The mRNA and protein expression of Nrf?2 and heme oxygenase?1 (HO?1) were also examined by qPCR and western blot. Results There was a significant increase in TNF?α, IL?1β, and IL?6 expression in the low dose and high dose exposure groups compared with the control groups ( P < 0. 05). The expression levels were also increased with increasing dose of PM2.5 (r = 0. 870, 0. 847, and 0. 855, respectively). Both the Mrna and protein expressions of Nrf?2 and HO?1 were also significantly increased in the low dose and high dose exposure groups compared with controls ( P <0. 05). Conclusions The Nrf?2 signaling pathway is activated following exposure of PM2. 5 in female rats, although PM2. 5 can still induce uterine inflammation and injury.